Medical databases at Hadbai will let us simplify your life. Our medical databases hold all your patient's records, investigations, operations, accounts and letters. There are several screenshots on the left to show what our the databases look like. We have ready made databases for General Medicine, General Surgery, Anaesthesia, Eye and ENT specialities (includes audiogram). If this list does not include your speciality we will design a data solution to suit your needs for the same price as the ready made versions of our database. If you want a non-medical database to store any type of information we can also do that. Our medical databases have been created over several years, with the input of doctors. They have told us what they want their medical database for, and what information they would like to store on their medical database. 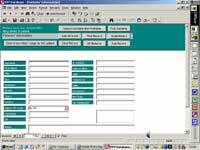 In addition our medical databases work on Win 95/98/NT/2000/XP, so provided you have a Windows machine, our medical databases should work quickly. Older Pentium machines will run our medical databases. There is no need to buy a Pentium III 1000 MHz to run our medical databases! Although we are looking for resellers for our medical databases, we do (and will always) sell our medical databases direct. Major alterations to a medical database will require an extra fee. On the same front, network medical databases will cost more. Many of our competitors require you to buy add-on packs for their medical databases, with our medical databases everything is included. For example on our ENT Database an Audiogram function is built in! 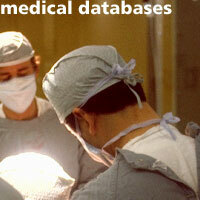 If you like what you're reading, please explore the web site for more detailed information about our medical databases. You can e-mail us if you are interested in buying a medical database, so we can quickly deliver it to your door. Although our medical databases are built specifically for doctors working in the UK, we can adapt our databases to be used abroad. The fact is that doctors, like everybody, are too busy to worry with filing away their information. Our medical database collection can provide a simple way of co-ordinating every task, from accounts to investigations. 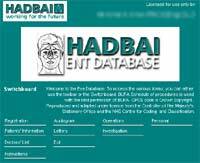 If you wish to become a reseller for Hadbai medical databases, then it will be very rewarding! We will provide commission for each medical database sold as a result of your actions. The commission for each medical database is dependent on which medical database is sold. E-mail us for more details as our reseller network is in it's very early stages.